Victoria from New Jersey finally did it and landed my first Pine Island permit on the flats yesterday. We were actually fishing for baby tarpon on a windy and cloudy Saturday morning when this one pound beauty ate a live shrimp under a Cajun Cork. 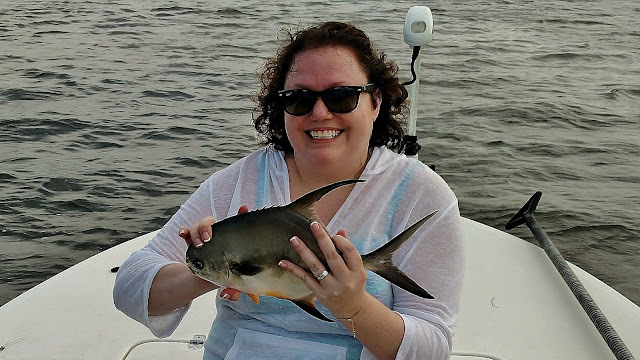 Permit are not uncommon in the deeper Gulf Of Mexico waters right outside Pine Island Sound and we're starting to see more of them on the shallows each year. I'm hoping that this is a trend that will continue and maybe we'll rival the Keys in a few years as a destination for these beautiful gamefish. Matlacha guide Capt. Joe Harley heading out on a tarpon mission into Charlotte Harbor. Here's a shot from yesterday when it was a little too breezy to find rolling tarpon so we hit the bushes instead. The redfish were on almost every shoreline in Pine Island Sound and Capt. Giles Murphy from landed this nice slot-legal one on a Gulp Shrimp. Giles is the owner of the Stuart Angler fly shop over on the east coast of Florida and specializes in dock light snook fishing. He's a great guy and if you're on that side of the state you should definitely look up his business and book a trip. May is right when the annual tarpon season really gets ramped up here on Pine Island. For me, this means several weeks of long days poling my skiff in the relentless sun chasing these fish up and down our Gulf beaches. It also means sitting in front of my tying vice for at least an hour or two each week so I can keep my fly box well stocked. Fortunately, the flies I’ve found that work best for Southwest Florida are relatively simple patterns to tie. The classic red and black Tarpon Bunny has landed the majority of my customer’s fish over the last twenty years. This pattern is nothing more than two short pieces of rabbit fur wrapped on a hook. I use a 3” Zonker strip for the tail and 2” of cross cut fur for the head. I’ve gotten to the point where I can easily crank one of these flies out during the commercial break of an NFL playoff game, which is when I usually like to start filling my tarpon box for the upcoming season. While I can whip up enough of these rabbit fur patterns for several trips without much effort, I always make sure they’re tied on one specific type of hook, which is the Owner SSW Cutting Point. The hook is obviously the most important part of any fly and these particular models are absolute weapons. 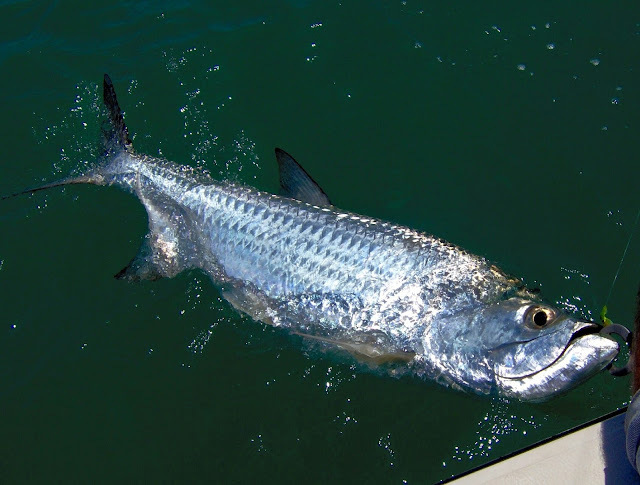 Tarpon have a mouth that is basically skin over solid bone, so driving anything into it takes a serious piece of hardware. The chemically sharpened Owner Hooks can drill into these fish like nothing else out there. 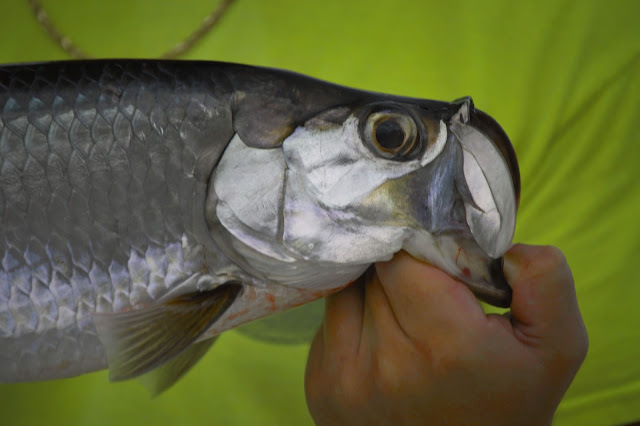 They also hold exceptionally well thanks to their small barbs that dig in hard but also release easily without any serious damage to the tarpon. 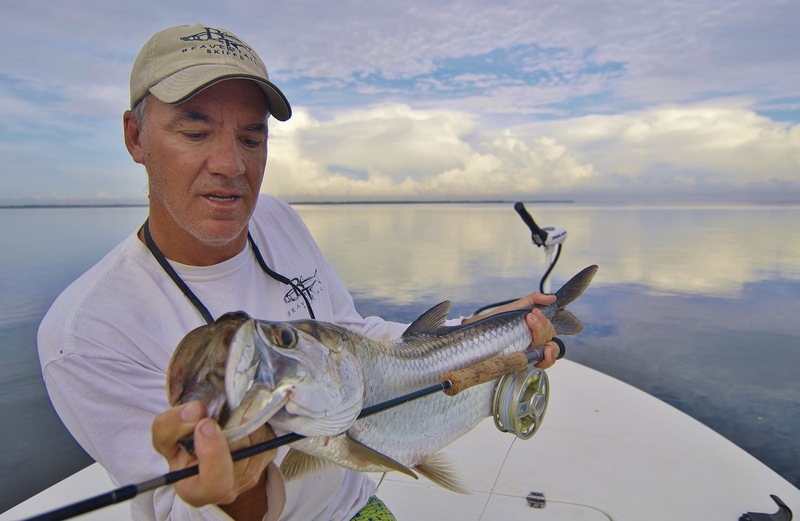 The size of the hook I use for my tarpon flies only varies a small amount. For the big migratory fish that average 100lbs or more, I go with a 3/0 hook. For the smaller juveniles that show up in a few months I’ll drop down to a 1/0. So if you choose to tie all of your tarpon flies on nothing but 2/0 hooks, you’ll be in great shape. The best thing about these Owner hooks is that they’re not made of stainless steel, which is something you never want to use while fly fishing for any large species, especially tarpon. They have a carbon finish that will resist corrosion in the box but will dissolve quickly if you break one off in a fish’s mouth. And trust me, this is something that will happen a lot when you start fly fishing for tarpon. The Owner SSW is also a great live bait hook if you’re a spin fisherman tossing crabs or whitebait at these fish. They’re not too expensive, about 50 cents each, but when it comes to hooking a species as impressive as a full grown tarpon, there’s nothing out there I trust as much.